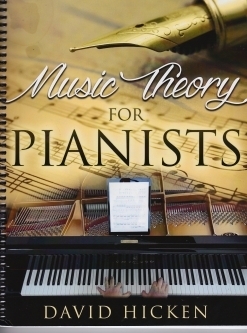 Music Theory for Pianists is the fourth in a series of instructional books by pianist/composer David Hicken, who was also a piano teacher for 25 years. The book is in an 8 1/2” x 11” format and is spiral-bound, making it easy to read, durable and easy to keep open. As with Hicken’s other books, the layout is roomy with many illustrations and the text is very easy to understand without being overly simplistic. 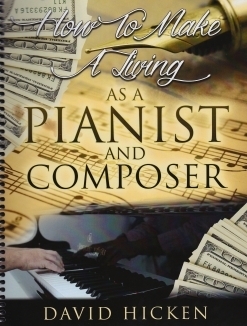 The book is meant to be used as a handbook and doesn’t claim to cover all music theory. (More books are planned in the series.) Most of it is fairly basic, but it is assumed that the reader has at least a basic knowledge of how to read music and at least a rudimentary understanding of how music is constructed. 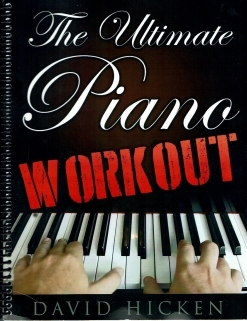 It is intended to be a reference guide with definitions of many musical terms, explanations of most common signs and symbols, and an extensive section on scales, intervals and chords. Hicken covers a very impressive amount of material in 84 pages and yet it doesn’t feel like anything was glossed over or omitted. 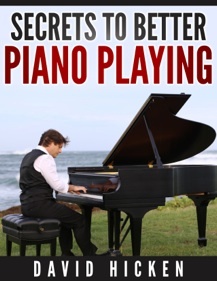 I am also a long-time piano teacher, and think this book is excellent for students at any age. It won’t replace a good teacher, but isn’t intended to. This book and the others in the series are available exclusively from www.DavidHicken.com. Very highly recommended!